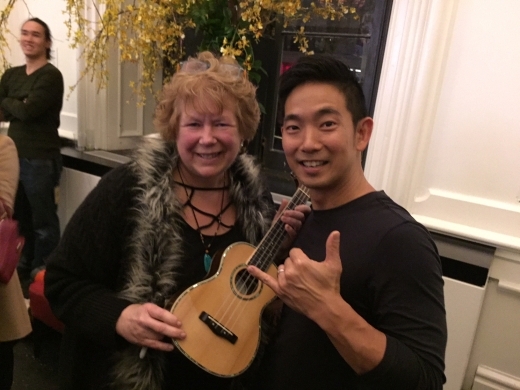 1 post tagged with "jake shimabukuro"
I brought my ukulele to Jake Shimabukuro’s concert. As I waited for the doors to open I played a tune. I saw a man’s eyes sparkle and asked if he played and he said, “Yes”. I offered my ukulele snd he accepted. He finger picked a classical tune. Everyone around us stopped, looked and listened. He told his story.